I will be honest with you. 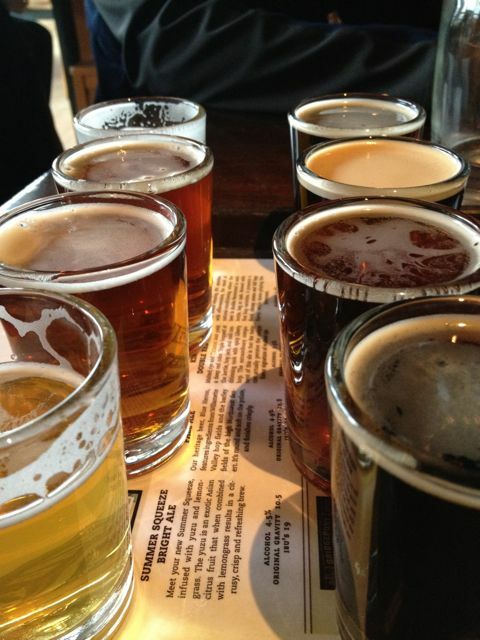 I love beer, but I don’t like to go to breweries for dinner. The food is predictable…fried bar food. But…. 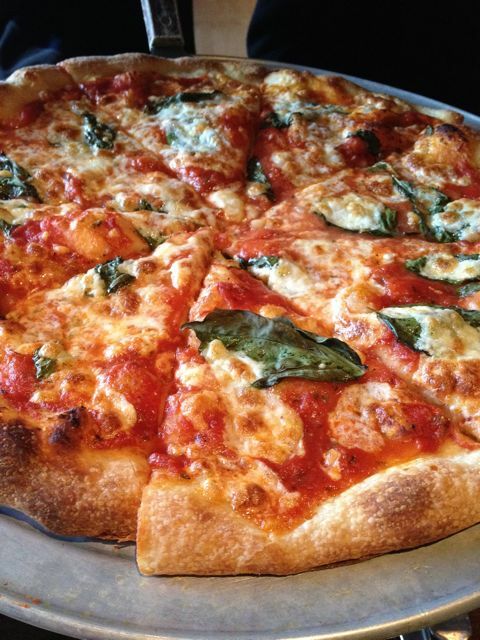 Bridgeport Ale House stands out from that, they pride themselves in creative pub fare. I had no idea. All I knew going into this was they had a burger that I thought should have won at Beer ‘n’ Burgers last year. It didn’t win, it came in second. And according to the chef, they lost by one vote. No shame in that. 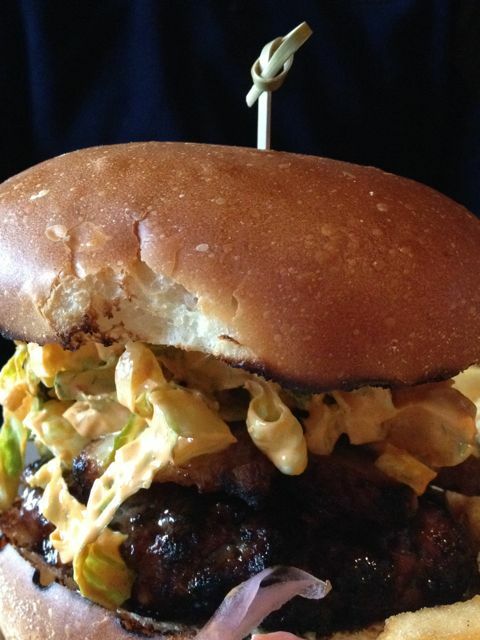 Nonetheless, that burger has finally made it onto the menu and it does NOT disappoint. I also had purchased a Living Social deal that gave us the 8 beer sampler and a cheese pizza. We paid $3 to upgrade the pizza and I enjoyed all 8 of the beers. Since the Living Social deal was so great, I did venture out and also ordered the $6 Polenta Bake, that was the special that day. This pizza was mighty tasty. The left overs were just as good. So yes, we had lots of food. Don’t judge me. It was worth the trip to Hawthorne and worth the wait for them to get the Big Island Burger on the menu. 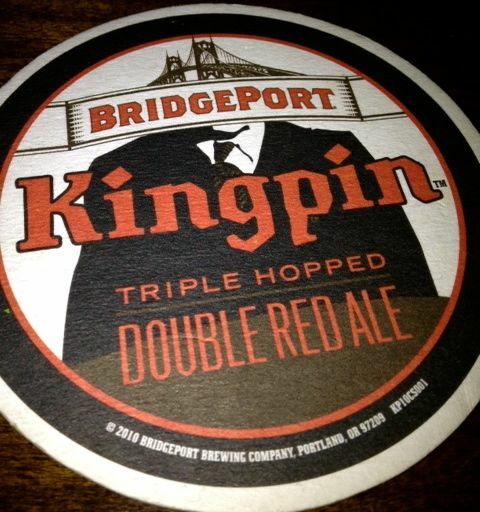 My favorite beer today off the sampler was the Kingpin double Red Ale. I wish I would have had one tall glass of that. Next time. We also went with friends who ordered the Big Island Burger as well and the Fall Salad that she added shrimp too. The salad looked wonderful. 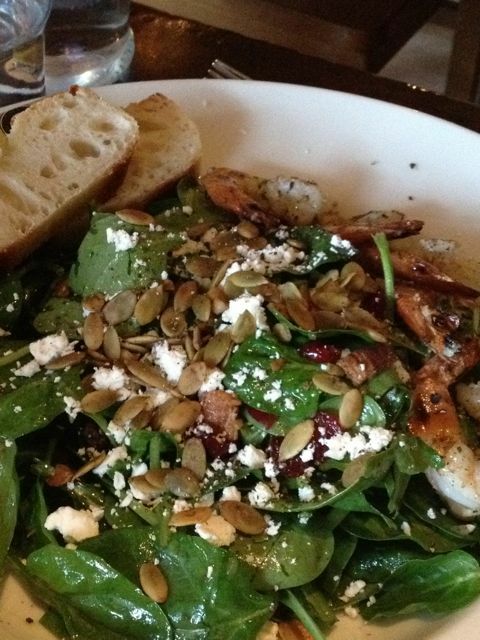 I do love a good salad and this one was topped with dried cranberries, goat cheese, and warm bacon vinaigrette. To top it off the Chef came out and talked to us for a minute. What a great guy. I am such a foodie nerd, that I love talking to chefs. I love hearing how they came up with things, specials, whatever the story. So thank you for taking the time to chat with us. We took friends back to so they could also experience some good food. 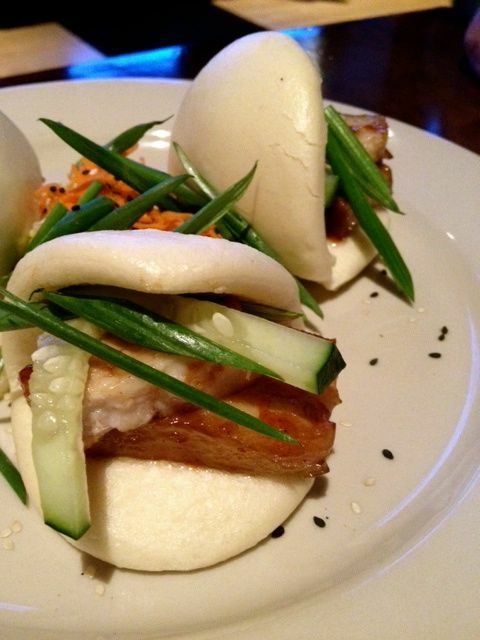 We ordered the Pork Belly steamed buns. They were not a huge hit and the reasons were not because they weren’t good. The reasons is because everyone was disappointed in the bun, but my husband did not understand that that is what steamed buns is, so it was a bit of a ordering error. If you like steamed buns, they are flavored very well. Our friend also ordered the KFC. It’s not on the online menu so I will try and remember best I can. 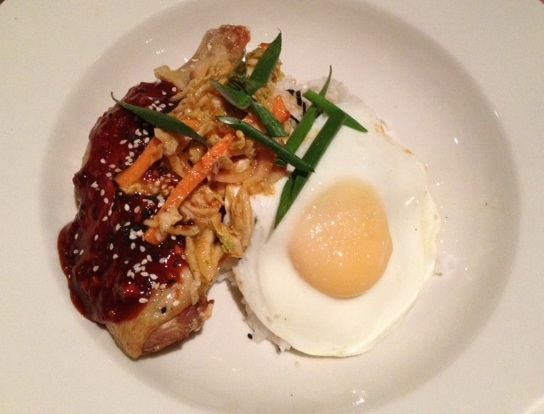 It was a chicken leg that was very spicy, served with rice with a fried egg on top. It was very, very, very good. They said it was one of their popular items. And it’s not a visit unless you get Kingpin. Atmosphere was is great for kids and watching a game. It’s so clean, bright and modern. The place is very inviting. Pricing was good. I believe the burger is on the high side at $11.50, but it has pork belly, a slaw and a bunch of other toppings making it worth the price. The beers were $5. Service was great. No complaints at all. She was attentive, checked in often and kept our water pitcher full. 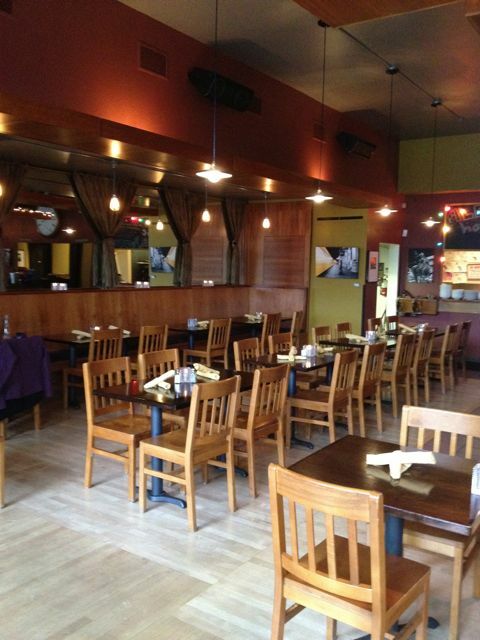 Located in the Hawthorne District, very close to the Bagdad theater.